Our quaint cabins provide a comfortable, relaxing environment and comes complete with all the major necessities. The world-class fishing adventures at our resort have been featured on TNN and ESPN, and on the In-Fisherman television series. Lake Savant is 25 miles long and has over 400 miles of shoreline and is surrounded by a designated wilderness area. Ontario's Fishing Paradise. 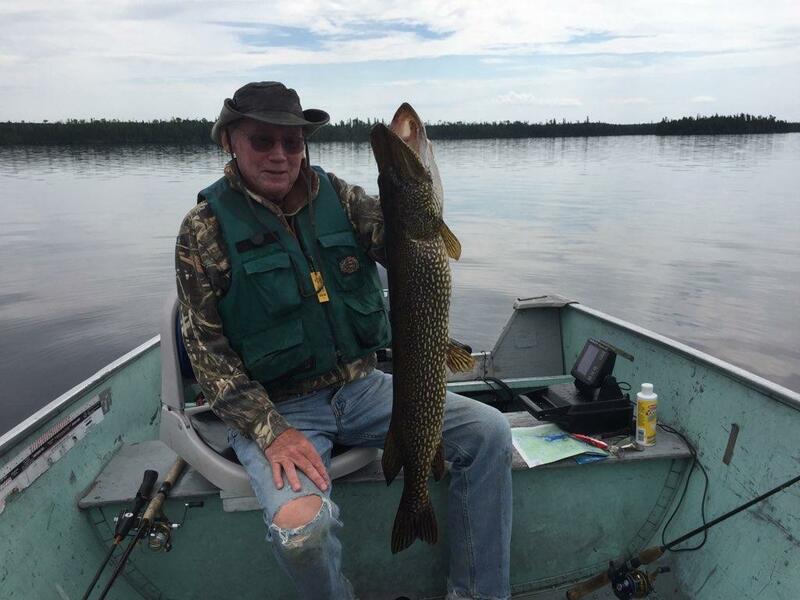 Lake trout 40-45 lbs, northern pike 59 inches, walleyes over 35 inches and whitefish up to 10 lbs. Click to Read More. 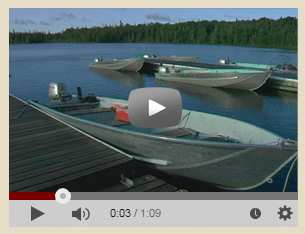 Our rustic hunting and fishing resort offers you the beauty of Northern Ontario. Come north and enjoy the adventure that awaits you and your group! Have questions? Or ready to schedule your outdoor getaway? Our family is here to help you and your group get off to a great start. Contact us today! 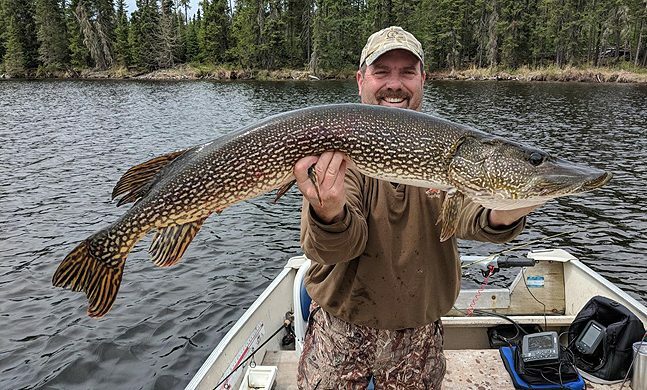 For the best trophy walleye, northern pike and lake trout fishing in North America, visit Wildewood on Lake Savant Resort in Northwest Ontario Canada. The best fishing, the best hunting, the best resort. Outdoor enthusiasts consistently seek, but rarely find, a resort equaling the caliber of Wildewood. If your passions lie in the wilderness and you want to catch lots of big fish, or are searching for unspoiled hunting grounds, Wildewood on Lake Savant Resort is the perfect camp for you. In the pristine wilderness of Northwest Ontario, a premier fishing and hunting destination awaits where dreams of trophy fish and legendary moose hunts are realized. Families, couples and rugged individualists are all invited to come and create memories that are sure to last a lifetime and to enjoy the services and comforts of our wilderness adventures. 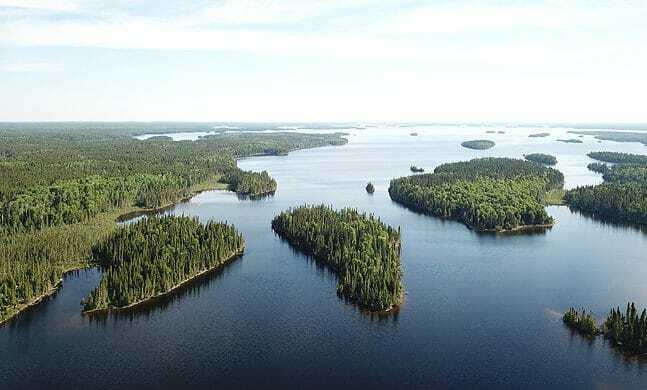 Wildewood is located 75 miles Northeast of Sioux Lookout in Northwest Ontario, Canada and is so remote that it is considered a fly-in environment. However, this beautiful wilderness has become a drive-to destination with our E350 Passenger Van. No gear limits, weight restrictions, or weather delays of an airplane. You can drive within five miles of the resort, park at our designated parking area, and be transported into our little piece of heaven! Our six log cabins accompanied by a main lodge are nestled amidst deep pine forests along the shore of a spectacular lake. 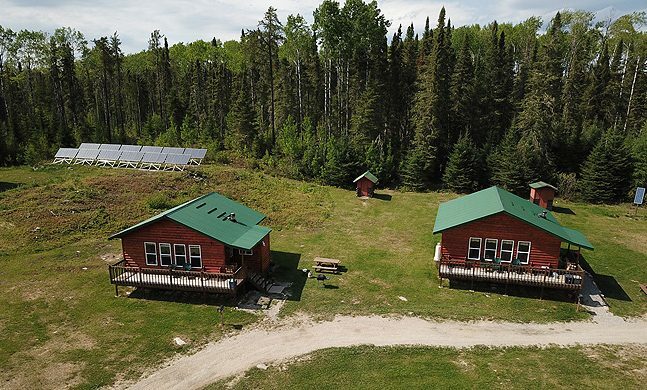 Hunt, fish and relax at our unique wilderness camp which shares its home with black bear, moose and Northwest Ontario’s largest woodland caribou herd. make are something extremely unique and unforgettable.